Last month I wrote an article highlighting the ease of creating web connected Pebble watch apps. Since then I’ve been keeping an eye out for other wearable devices that are designed to do interesting things with the help the internet. We’ve all heard about apps that hook up to home appliances like Nest’s Theromostat and August’s Smart lock. These are pretty cool and will, in one way or another, make our lives easier over time. The ability to turn off my home air conditioning unit from my wrist while on the way to the airport would likely have saved me quite a few $$$’s recently as well! 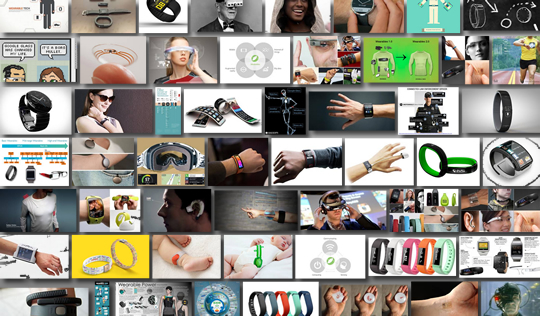 But there has to be more to wearables than heart rate tracking and remote controlled home appliances, right? Here’s an interesting idea that just met its crowd funding targets. Palvok isn’t your average wearable. Its sole purpose is to help you break bad habits. It does this using humane (unless you have it set to “T-Rex” mode) shock therapy. Simply put, you tell it what you what you don’t want to do and it shocks you every time you try to do it. Biting your nails? Zap. Sleeping in every morning? Zap. Texting your ex? Zap. Don’t want to wear it on your wrist? That’s ok it comes with adhesive pads as well. But the real power is in Pavlok's API -- we've developed technology to link your Pavlok to other software and hardware. e.g., linking your device to a productivity tracking website or sleep tracker. So we might soon find ourselves building more web applications that communicate directly with the devices stuck to our user’s necks. I can’t think of a site I’ve worked on recently where shocking a customer would be appropriate but there are plenty of other viable web-connected opportunities that come to mind. What about a music streaming service that gets sent information from the sensors in your shirt and learns what music you like in different situations? It might know that you are running and dispense a batch of Techno to keep the pace up, or that you are on a long car trip and need a hit Norwegian death metal to stay awake. What about a nerdy watch strap that glows different colours based on how much traffic you are getting on your site? Or a wearable alcohol sensor that requests an Uber when you’ve had a few too many? The possibilities are endless, making this a really interesting space to watch. View Next blog Is your site ready for Mobilegeddon?